Theology Cataloging Bulletin (TCB) is an open access serial publication of Atla and published under a Creative Commons Attribution-Noncommercial License (CC-BY-NC 4.0) license. https://creativecommons.org/licenses/by-nc/4.0/legalcode. Material reproduced from the Library of Congress is in the public domain and is not subject to the Creative Commons license. Authors of the “Testimony” column grant Atla an exclusive right of first publication, display and distribution and retain all other rights. 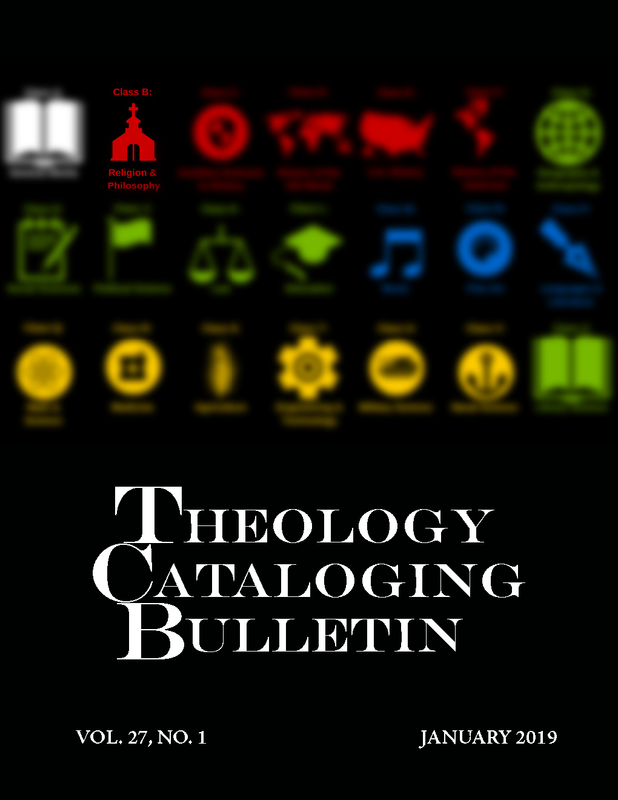 Theology Cataloging Bulletin is a quarterly publication of Atla's Technical Services Interest Group.